Intel have officially made the call to end the life of their Kaby Lake X chips, having unoffically killed them off last October when they launched the Intel Coffee Lake range. 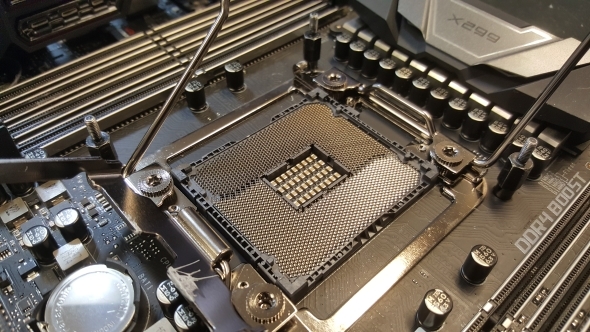 These strange HEDT misnomers were launched on the X299 platform in the summer of ’18 – less than a year ago, and are now heading to the scrap pile. Need more processing grunt? Here are the best CPUs for gaming in 2018. Intel have officially released a product change notification (PCN) announcing the end for their Kaby Lake-X processors, which were launched last year. The i7 7740X and i5 7640X will be no longer be available to order, either boxed or tray, from November, 2018; with final deliveries before May next year – in what can only be described as totally surprising news (see: sarcasm). 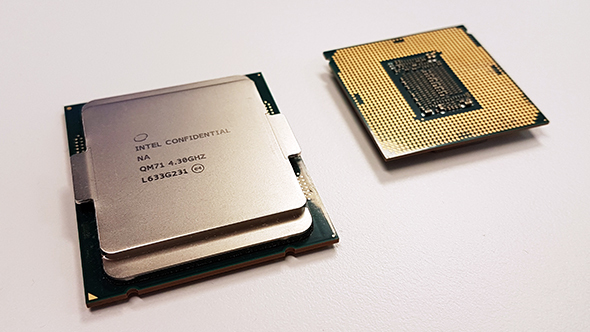 Intel’s HEDT platform usually encapsulates the true spirit of enthusiast computing, with only the very top end high-core count chips built upon the finest silicon Intel can muster making the cut. The latest Core X-series platform features the best Skylake-X chips that Intel could put together, starting with the six-core i7 7800X, all the way up to the gargantuan 18-core i9 7980XE. However, Core X also features two Kaby Lake X chips: the i7 7740X and i5 7640X. These four-core/eight-thread chips differed only slightly from the Core i7 7700K and i5 7600K processors – offering only slight clockspeed bumps and a removal of the integrated GPU. These X-series chips also require an X299 motherboard, which can be pretty pricey commodities compared to the cheaper motherboards available with the mainstream Core series processors. Due to the limitations of the low-end X299 CPUs, many of the features available on the X299 board aren’t even available when paired with the Kaby Lake-X chips. Since the red team have managed to put the fear of god back into Intel’s execs, with the latest AMD Ryzen 2 designs really sticking it to them, Chipzilla’s roadmaps have been on shaky ground. They rushed out the launch of their Coffee Lake chips to compete with AMD’s high core counts in October, and this rendered Kaby Lake-X effectively EOL almost immediately. These six-core chips suddenly tore Kaby Lake-X a new one, and even rendered the lowest-entry Skylake-X i7 7800X a little worse for wear. So that’s curtains for Kaby Lake, but you never know, maybe Intel will launch Coffee Lake-X as a low-end, nominal addition to Cascade Lake-X, featuring eight-cores, sixteen-threads, and its very own Z390 motherboard. Surely not… right?